This stunning gemstones has a rich and brilliant array of colours earning its way into the British Crown Jewels. Spinel is the magnesium aluminium member of the larger spinel group of minerals. Balas ruby is an old name for a rose-tinted variety. 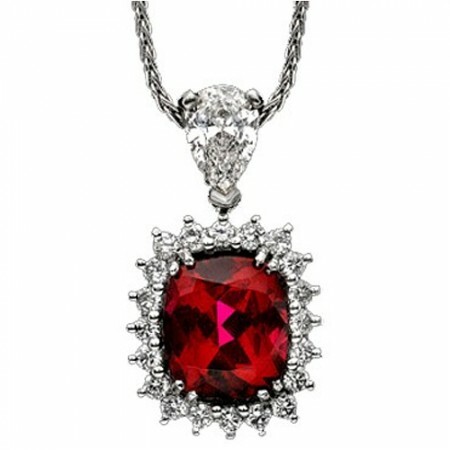 It occurs in all colours but most popularly in ruby-like red. Its pigments are chrome and iron. The name Spinel comes from the Latin word spina which means little thorn, and may refer to the sharp points which occur on some spinel crystals. The legendary Timur Ruby, weighing 361 carats, is probably the best-known spinel to be wrongly characterised as a ruby. Its history can be traced back to the 14th century, when it was stolen in Delhi by the Turcoman-Mongolian conqueror, Timur. From 1612, together with the Koh-i-noor diamond, it was held in India, Persia and Afghanistan, until it was presented to Queen Victoria of Great Britain in 1850. Since then, this prize jewel has been a striking member of the British Crown Jewels. Spinel is thought to protect the owner from harm, to reconcile differences, and to soothe away sadness. However, the strongest reasons for buying a spinel are its rich, brilliant array of colours and its surprising affordability. Created/synthetic spinels are also used in the jewellery industry, but not by our company.